10 organic make up remover wipes and organic wash bag. Made from certified organic cotton. Reusable make-up removers perfect for a zero waste bathroom. 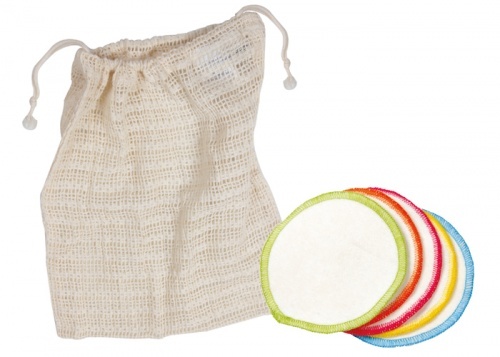 These washable organic make up removers come with an organic wash bag that is great for storage and cleaning. Pop the wipes in the bag and wash in your washing machine, reuse again and again. Net: 25 x 25 cm. Made in Turkey and India.